This autumn season Visit Seattle travel and tourism office run taxi advertising campaign with Sherbet Media to promote Seattle as an exciting urban city surrounded by unmatched natural beauty where adventure awaits. 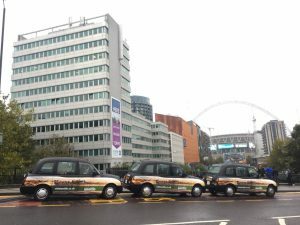 Campaign included taxi supersides which showcased beautiful Seattle city overview, tip seats, receipts and advert played on taxis digital screens. 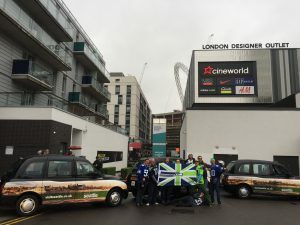 Visit Seattle taxi activity was carefully planned to be placed around London key events such as NFL games where Seattle Seahawks played at Wembley Stadium. 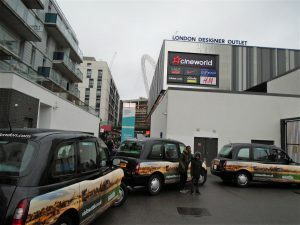 Visit Seattle campaign marks as an example of how travel brands are using OOH taxi advertising to engage with consumers and bring travelers to desired holiday destination. 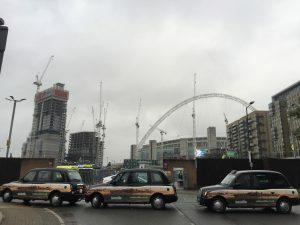 For travel and tourist boards Sherbet enhanced targeting and measurement capabilities such as targeted Telematics systems and Sherbet booking app signal the beginning of a new and exciting era in out of home advertising sector.